I have read there was an image projected on St. Peter's of what was purported to be the Hindu demon, Kali, aka 'The Dark Mother', on the Feast of the Immaculate Conception, i.e. 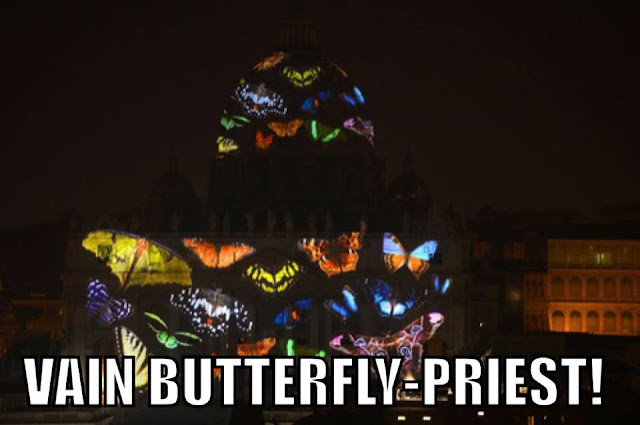 08 December, as part of the Vatican 'light show'. Is that possible? Is that possible? Does anyone have any information about this? Thanks, Kim. I am greatly relieved. Not! There is much more symbolism there: leopard - symbol of masons (by father Gobbi); red fish - chopped on three pieces... symbol of Christians (fish) in bloodbath of persecution (red color) and schisms (chopped pieces); smoke and fire - symbolism of destruction and Hell; huge ox with horns shaped like the the satanic goat; horrible toad - typical animal of witchcraft... - any many more pictures ... OUTRAGEOUS BLASPHEMY! I haven't any idea what Lawrence's e-mail address is. I would be happy to provide my e-mail address to you were Lawrence able to facilitate the exchange. Cheers. 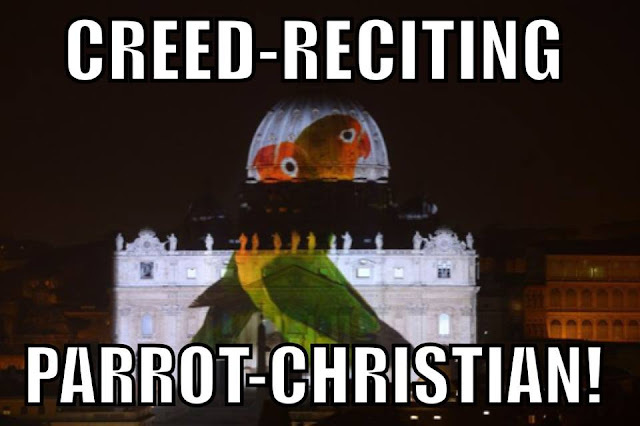 "Jones (who designed the Vatican light show), one of the world’s foremost digital painters and projection artists, specializes in portraying terrifying images of Greek, Roman and Eastern pagan deities. He said in an interview last month that he turns to these gods and goddesses by means of “psychedelic substances” (mind altering drugs) so that he can portray them accurately. He said the “deities” are “actively involved” in guiding his hand as he makes the work. You guys like conspiracy of highest kind! Do not judge the people from the outside my parish priest preached today during the feast of the Holy Family. Are you guys can show any respect for the Pope? Heretics?